Isle of Wight located around six miles from the south coast of England is a lovely island. We travelled to Isle of Wight from the port of Southampton. However you can also travel from Portsmouth. It has a lot of lovely seaside towns aimed at those looking for a relaxing beach holiday. For those seeking adventure, you will find lot of outdoor and watersport activities. The island is not very large and is covered by a good bus service run by Southern Vectis. If you are travelling by car then you can drive around to all major sites yourself. And if you are on a coach tour, then the tour operator will take care of all sightseeing. - The Needles: A much visited rock formations at the extreme west end of the island near Alum Bay. The bay is famous for its sand of different colours. 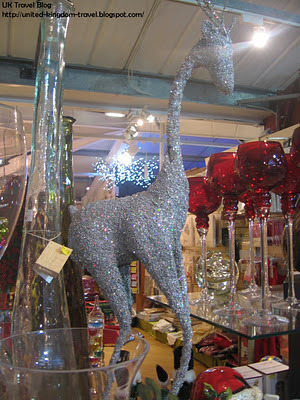 While you are in Alum Bay you can also visit the Alum Bay Glass Blowing Workshop. 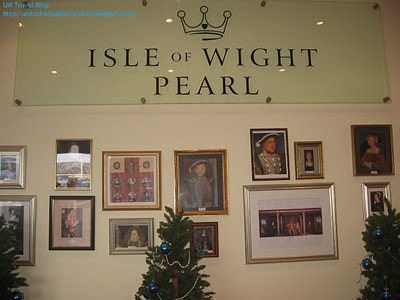 If you are looking to shop for some pearls, then head to Isle of Wight Pearl which is said to have the largest collection of pearl jewellery in the entire UK. They have all kinds of pearls - crafted, freshwater, akoya to name a few; and in all price ranges. You could also plan to have your travel break at the Busy Bee garden centre. It is the largest garden centre in the Isle of Wight which not only has gardening supplies and plants but also a coffee shop, a nursery, crafts and gifts store. It also has seasonal events and sales. 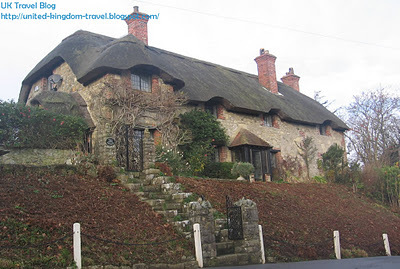 Most visitors to Isle of Wight also head to the Godshill village - a pretty and quaint old village where most of the houses have thatched roofs. There are lots of tea houses, gift shops, a few restaurants, pubs and even a lovely church atop a small hill. We stayed at the Medehamstede Hotel in Shanklin - a seaside town. However, there are lots of other options to choose from. You could stay at any of the lovely towns or villages - Sandown, Newport, Ventnor, Yarmouth, Godshill or Ryde. Wherever you stay, there is lots to see and enjoy in the Isle of Wight as it abounds with natural beauty.